In this identity and access management blog by the largest independent European provider of IAM solutions our iam experts post our thoughts on Identity and access management. 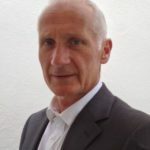 Axel has been in management positions with Beta Systems for more than 20 years, with a high level of experience in Development, Portfolio & Solution Management, and Consulting. Graduating and getting a PhD degree at one of the leading German Technology Universities in Braunschweig he brings an exceptional background and knowledge of IAM solutions and their practical use with him. His deep knowledge of the IAM industry gives value to any project. As IAM Senior Consultant he combines the ability to lead his team members and to prepare his customers at the same time in the right way to achieve excellent project results. 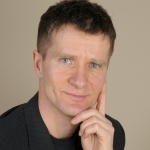 Detlef is a Senior System Architect at Beta Systems Software AG with 20+ years’ experience in design and practice of system and software architectures. In addition to the technological aspects, he was significantly involved in drafting the strategic positioning of Access Governance in the IAM area. As part of this strategy he took over the responsibility for design, architecture and development of the Access Intelligence product. He has built up extensive knowledge in BI technologies in particular based on the SQL server. In addition to the focus of the multidimensional design of data warehouse systems, it also deals with applications of analytics for IAM. These include the analysis of permission structures regarding relationships, history and risk. Even his physical fitness is given enough attention by regular jogging and biking. His best time in the marathon is currently 3:34 hours. ‘As Head of New Business and Channel Partners, Les Parsonson has held senior sales and management positions in major technology companies for more than 30 years. The depth of his experience working with major organisations across various industries places Les in a strong position to advise on how technology and business can work together to provide secure business applications, that can increases a organisations bottom line. 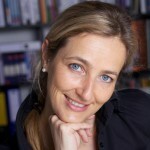 Stefanie is Technical Product Manager and has been working in the IT sector for 15 years. She started as project manager for complex software projects for hospitals. From these very complex but more standardized healthcare projects, she moved to the retail industry with more international software projects meeting different international legal requirements and the fufilment of customer specific software solutions based on standard software. With her quick uptake, outstanding commitment, and analytical ability to see through complex situations, she took over responsibility for the technical product management at Beta Systems. With her proven track record and her excellent attention to detail and follow through she is a very strong asset for our IAM strategy development. Stefanie understands core business objectives, and translates them into excellent product solutions by creating detailed functional specifications for use by both technical and non-technical readers. Thomas is Senior Marketing Manager. While working at market leaders Coca-Cola and Lidl, he was infected with the tech bug and moved rapidly into the software world, working for leading ECM and IAM companies in Marketing, Channel Sales and Product & Solution Management, with a strong focus on business processes and identity access management challenges at large clients. Walter Teichert is Director International Sales at Beta Systems Software AG. Prior to his current role he served for 12 years as Director Sales Europe and Director Partner Management. Walter received his diploma in business administration from the University of Applied Sciences, Kiel in Germany and passed various Management Programs at Babson College, Mass., USA. 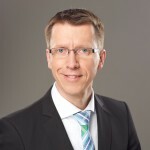 Before he joined Beta Systems Software AG in 2003 he worked for Sharp Electronics, Siemens AG and Nixdorf Computer in Germany and abroad.